Add a page turning sound to your flipbpook. Nothing makes your reading experience more real than the sound of the paper when you turn the page. 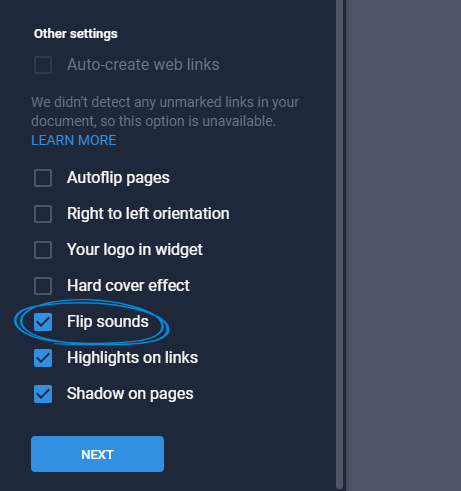 If you feel the same way, just open your flipbook in the editor and in the Customize section enable the Flip sounds option then publish the flipbook as usual to save the changes. Important: The flip sounds are available for laptops and desktops only.